Je connais surtout mettre la charrue avant les boeufs. Après tout parfois on trouve des wagons devant une locomotive, en tout cas il me semble d’en avoir vu en Allemagne. Je préfère aussi la charrue aux wagons. Mais c’est à prendre au second degré. Merci en tous cas, Solveig, pour tes visites pendant ce voyage au pays des expressions franco-anglaises et américaines. Oh c’est un plaisir. J’ai dû beaucoup sourire. Je vais vérifier celle ci! À plus tard sur votre blog. We would also say to put the cart before the horse in the UK. Good to know for my next trip there! 😊 thank you, Anabel. It’s funny to see the wagons associated with a locomotive, but I’ve been reading a history of railroad accidents in the UK from the start of the railroads and that word is used a lot. Today, we talk of “cars” on a train rather than wagons (in the US). Cart before the horse or some of those expressions we agreed not to mention all come to mind here. I guess doing things in the wrong order is a universal trait throughout time. You’re into countdown mode, 3, 2, 1 done pretty soon. This has been fun to follow. Cart before the horse has got to be one the the most common expressions, even today. Unlike many others, it is used by young and old alike, even by kids who have probably never seen a cart and horse outside a movie or television. I agree, although it seems like even the one with the oxen is still used. Thank you, Alex, for your visit. 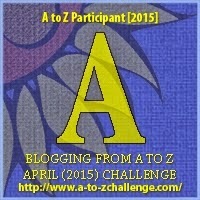 I love what you are doing for this challenge on your blog. Not at all! I’m sorry I haven’t visited more! This is an interesting expression in both English and French. Both are as explicit, I agree. See you for the last leg of the trip,Claire. I also favor the Charriot Before the Oxen! Thanks, Curt. That’s for sure. I like the horse/oxen/cart/charriot better than the locomotive and the wagons. But letter W was a challenge! See you, Lisa. Yep we go for putting the cart before the horse, but you found your ‘w’! I did! I hope to see you for the last two letters, Andrea.